A man and woman have been accused of posting a film on social media showing another woman in an intimate situation. It is claimed the Hawick pair sent the video to others and put it on Instagram with the intention of causing the woman fear, alarm and distress. 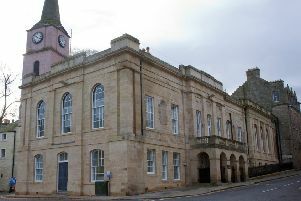 Jason Wright, 32, of Galalaw Road, and Ashley Gallagher, 28, pleaded not guilty at Selkirk Sheriff Court to committing that offence between July 3 and November 23. A trial date has been fixed for February 8, with an intermediate hearing on January 8. Wright and Gallagher were released on bail on conditions including not contacting a named woman and not entering Peebles.